I don't think there is one person out there that can say they aren't stressed at some point in their day or week. I know one of my goals this year is to focus on staying calm (especially with my children!) and bringing less "stuff" into my life that just creates stress. 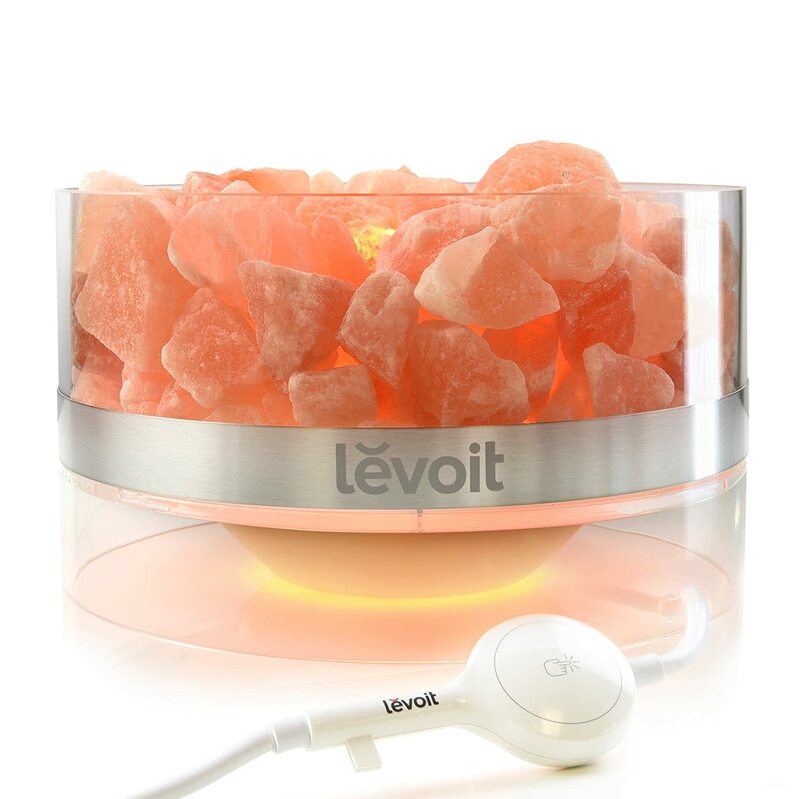 And when I fail at reducing my stress on my own, I turn to my beautiful new Aria Himalayan crystal salt lamp from Levoit. After a long, stressful day, the Salt Lamp’s calming amber glow soothes my weary spirits and reduces my stress levels. And that is not all it does! Himalayan Salt is one of the precious and purest gifts of nature. 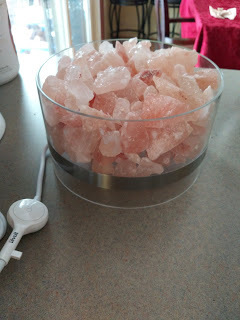 This Salt Lamp emits negative ions that fight against electromagnetic radiation and fights fatigue and sluggishness; improves health ability; increase the flow of oxygen to the brain; protects against germs in the air; increases work productivity and creativity; improves bone strength; helps me sleep better & wake refreshed AND soothes allergies. 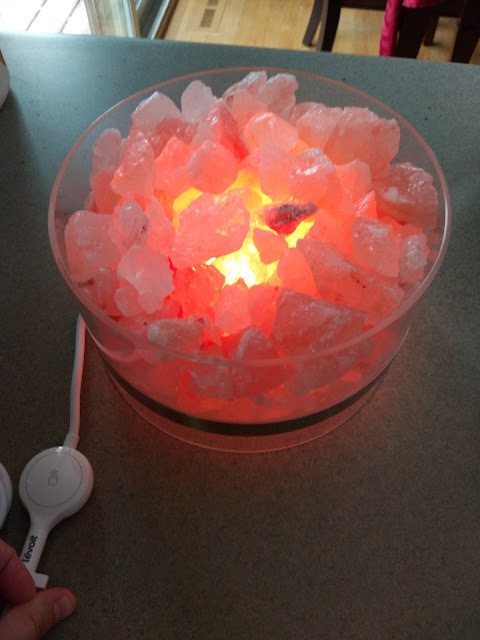 AND this Salt Lamp counteracts harmful smog produced by your electronic appliances through natural ionization. This hand-mined Himalayan basket-style crystal salt lamp is hygroscopic, meaning it absorbs surrounding water molecules in the air. Using the small amount of heat produced from its light bulb, the lamp evaporates the water attracted to the crystals. 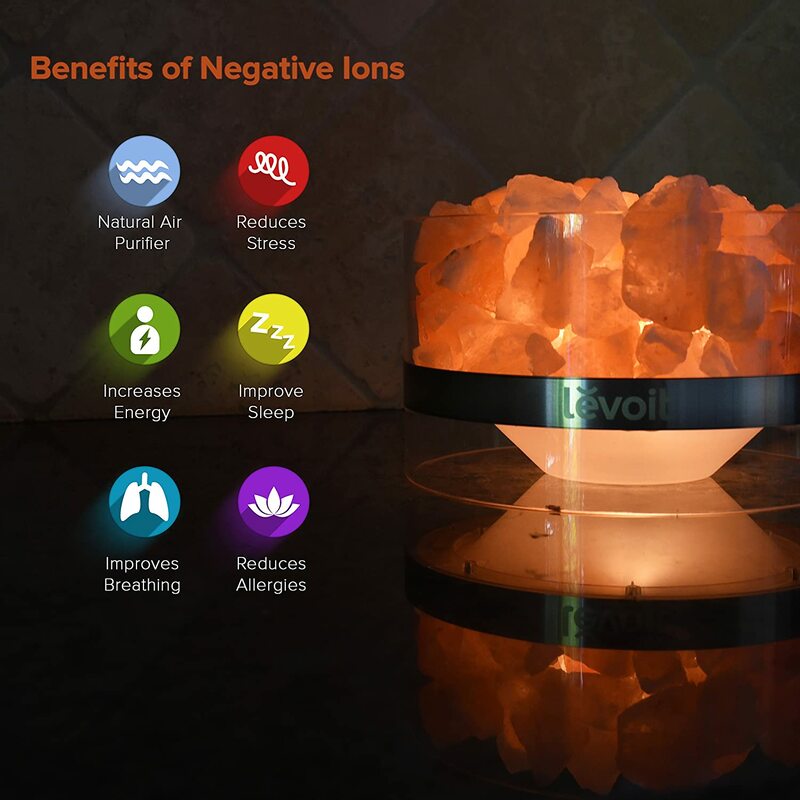 The evaporated water is negatively ionized; negatively ionized particles attract pollution and other harmful contaminants and allergens, pulling them out of the air so you breathe easier and feel recharged. I would call this little beauty AMAZING! Plus, I LOVE the simple touch control button to adjust the brightness level of the lamp to suit your mood. Whether you’d prefer a luminous glow for relaxing, soft illumination to lull yourself to a serene slumber, or any level in between, you’ll always find your perfect balance. 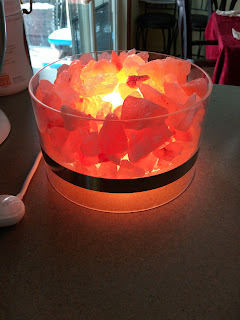 I love the look of this Salt Lamp compared with others I have seen because it is not bulky and I don't worry about it getting knocked over. It fits great with any decor and is so soothing and beautiful when the light is on! Even my husband is addicted and has it turned on whenever he is around!